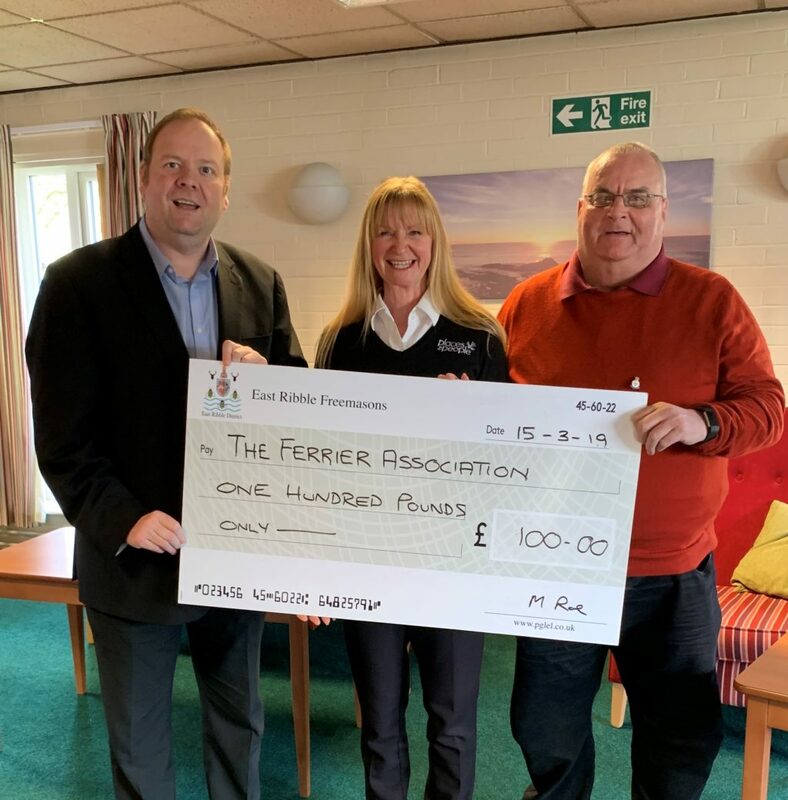 On 15th March 2019 a donation was made by East Ribble Freemasons to The Ferrier Association based at Ferrier Court in Blackburn. The Ferrier Association is involved with independent living and the it runs social events for the residents and holds bingo nights, games nights, theme nights, breakfast clubs, and many other events which are loved and appreciated by the all the residents. The £100 donation will be spent on a new sound system to help with the bingo nights and other entertainment events. Pictured is Assistant Charity Steward Malcolm Roe (left) presenting a cheque to Louise Cooper, Place Scheme Manager and David East, Chairman of the Association.